Three NICE thresholds for cost-effectiveness: does that make sense? A consultation from the National Institute for Health and Care Excellence (NICE) and NHS England (NHSE) has proposed what amounts to an explicit, third threshold for cost-effectiveness to be used for ultra-orphan drugs. This is in addition to the one that is used for drugs for more common diseases and another in end of life treatments. Leela Barham looks at whether it makes sense to have three thresholds. The tipping point for when a new medicine is cost effective or not has been controversial. Being over the line between cost-effective and not matters. It matters to patients and their clinicians who find that they can’t access a medicine with routine funding. That leaves them with the bureaucratic option of seeking individual funding for exceptional cases or paying privately. It matters to companies who won’t see (much) revenue (they might get some under rules for exceptional funding even if NICE says no). It matters to politicians who face the backlash in the media. It matters too for NICE; it’s survived the bonfire of the quangos and been given more responsibility, not less, over time. But despite being tough, NICE is still staffed by real people, with real feelings and whose Appraisal Committees give their time for free to help make some of the most difficult decisions that affect the health, life and death of patients (shielding the politicians a little too). For health economists, the threshold matters as well because it informs decisions about how to spend from a limited pot. In theory, spending first on the most cost-effective treatments means being able to get more health overall from the NHS budget. Of course in practice, we probably don’t know the true cost effectiveness of much of what the NHS does, and we never start from nothing. Instead, we look at adding treatments to the hotch potch of what’s been funded before, as well as variation in efficiency across the NHS. 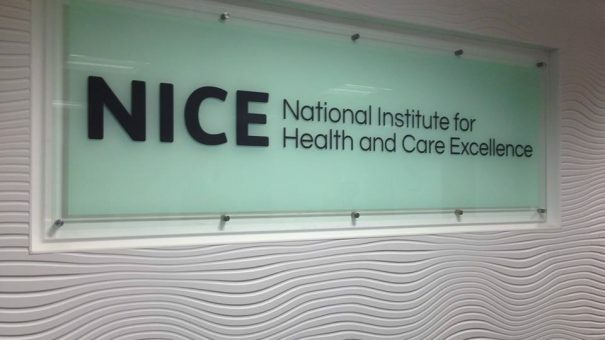 For years, there was debate about whether the UK’s National Institute for Health and Care Excellence (NICE) had a formal threshold. It was set up without an explicit direction on what value to take in 1999, and it couldn’t take decisions without having something that amounted to a threshold. For some time NICE just didn’t acknowledge it had any form of threshold. Analysis of NICE’s decisions suggested that it did (although it remains a mystery to many where the number(s) came from). Since 2004, however, NICE has formally acknowledges a range; from £20,000 to £30,000 per Quality Adjusted Life Year (QALY). Arguably NICE became more comfortable acknowledging a range through reference to past decisions which probably shaped expectations for future decisions. Being similar when saying yes and no arguably provides greater comfort to Appraisal Committees. That’s threshold (range) number 1. 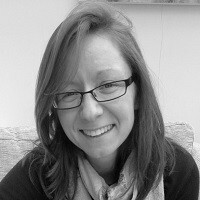 Then in 2014, the Pharmaceutical Price Regulation Scheme (PPRS) – a voluntary agreement on branded pricing and a host of other issues between the Department of Health (DH) and the Association of the British Pharmaceutical Industry (ABPI) – expressly agreed that “the basic cost-effectiveness threshold used by NICE will be retained at a level consistent with the current range and not changed for the duration of the scheme”. Some might argue that this means that threshold setting sits above NICE and others in the system. The 2014 PPRS kept the basic threshold range, despite research published in 2013 suggesting that threshold should be lower – closer to £13,000 per QALY – if opportunity costs of past decisions are taken as the basis. There’s some logic to the DH setting the threshold; after all the NHS budget is determined by the economy and political decisions. The DH is the agency that then funds the NHS based on their allocation from Government, and so DH setting a threshold (sort of) links to Parliamentary decisions, although it doesn’t necessarily need to sit within the PPRS. Another explanation is simply politics; there’s a negotiation between the DH and industry and given the importance of the threshold to industry, it might be traded against other less important features in health and industrial policy. By 2009, the concept of a range for cost-effectiveness was reinforced with flexibility introduced for end of life treatments. This could allow NICE Appraisal Committees to recommend treatments with a cost per QALY over the usual £30,000 upper limit, somewhere around £50,000 (and sometimes above that too). Now £50,000 seems to be taken as a given as the threshold for these treatments. That’s threshold number 2. The underpinning logic for threshold 2 assumes that society places a higher priority on treating those patients near the end of their life. An additional QALY achieved then is worth more than a QALY at another point in time; by virtue of sacrificing the health that would be generated if the same money was spent elsewhere. This challenges previous notions that a QALY is a QALY is a QALY. It did so though with little to underpin just what weight (sacrifice) should be given to those QALYs at the end of life (indeed, if any weight should be given at all, as not everyone agrees). Fast forward to 2016 and a new threshold – threshold number 3 – has been put forward for medicines that treat very rare conditions or Highly Specialised Technologies (HSTs) in NICE speak, and more commonly known as ultra-orphan drugs. This time the threshold has not been derived by experience over time, but instead somewhat plucked out of thin air by both NICE and NHS England (NHSE). The consultation points out that £100,000 is five times the lower end of the standard threshold. Pretty much anyone could figure that out (a comms spin if ever there was one), more important is how and why £100,000 was chosen and arguably even more important, is whether that is a trade off that citizens (who are future patients if not current ones) believe that this is fair and are willing to accept the sacrifice. NICE and NHSE don’t reference any of the evidence base for a higher priority for those with rare conditions – maybe because it’s mixed at best and confusing at worst. Is this an evidence free approach from agencies that espouse evidence based decision-making? With NICE and NHSE’s proposals, this means that the UK will be operating what amounts to three thresholds, and each has come about in different ways. Whether that’s appropriate or not is unclear; there are good reasons to take the perspective of commissioners who should be well informed about not only the efficiency of their providers but also opportunity costs. At the same time, as funding for the NHS changes, we might be able to do a little more (or a little less) so that a change in the threshold might be needed too. So pragmatically, shouldn’t the threshold be set as a meeting in the middle of the two? At the very least taxpayers and patients might benefit from a clearer explanation as to how these very important numbers come about. Where some patients (and the QALYs they’ll get) are given higher priority, we ought to know where these priorities come from. If we’re feeling brave, we might also want to do more to find out what citizens think too as being advocated by some. Consistency across health and prevention? In the background there is also a debate not only of the value that the threshold should take for new medicines, but for other Government funded activities that affect health. Prevention is an obvious example; vaccination can save lives and avoid morbidity. Should there be parity, at the margin, for how much we spend in the NHS and how much we spend in these other areas, to save a life? These questions are very likely being debated as part of the DH’s Appraisal Alignment Working Group (AAWG). It’s hard to know though, since the work of the group is very hush hush. We know who is on the group, but the DH won’t release minutes from its meetings, citing a Section 35 exemption to the Freedom of Information Act. The AAWG must be doing a lot though; meeting 6 times in 2014, 11 times in 2015, and twice in 2016, up to April of this year and four more planned for 2016, according to a freedom of information response. Could they play a role in future in determining the threshold? We’ll see when NICE and NHSE makes final decisions following consultation whether the £100,000 cost per QALY stays or not. The successor to the 2014 PPRS will also likely inform whether the ‘standard’ cost effectiveness threshold will change, and flexibilities for end of life will stay. We may even see a revival of proposals for an independent threshold panel to counter accusations of politics playing too much of a role in such an important part of decision-making. This is decision-making that affects lives and where so many have such big vested interests. Expect too a heated debate should proposals be for thresholds to go down. No-one can expect them to go up in these difficult financial times.